Ever find yourself turning to comfort food to get through the cold winter months? Us, too. That's why we put together this list of the best casseroles to make for dinner tonight. 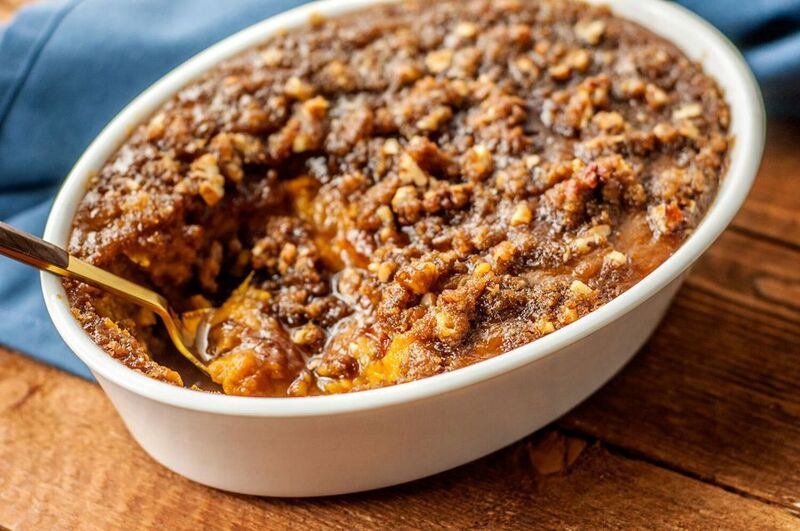 It's not just for Thanksgiving anymore: this delicious sweet potato casserole can be made anytime (including tonight!) Infused with brown sugar and topped with pecans, this comforting dish makes the most of abundant winter root vegetables. This delicious chicken tortellini casserole is so easy, it only takes five ingredients to make. The recipe is adaptable too — use ham or turkey in place of the chicken, use asparagus or peas in place of the broccoli, or try a different kind of sauce. 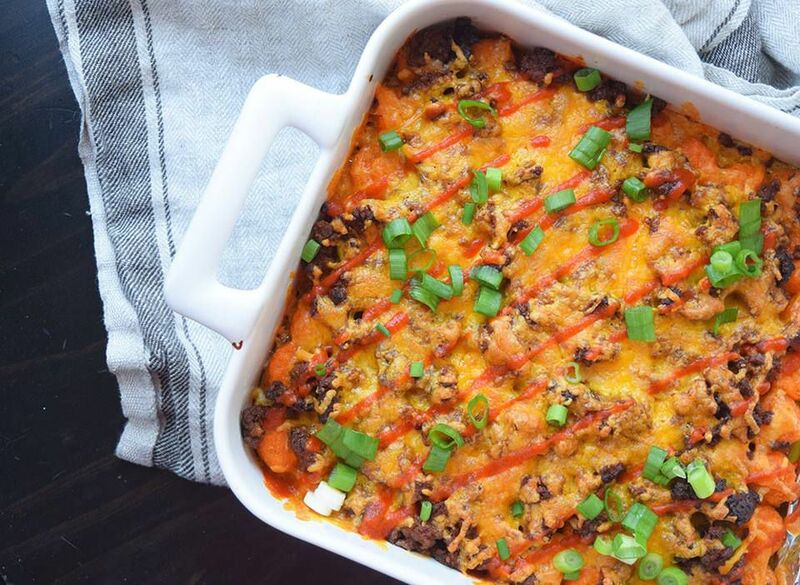 Add a little kick to your morning with this chorizo sweet potato breakfast casserole. It's an excellent dish to make and freeze on a Sunday and serve all week long for breakfast, or any other time you're craving something spiced-up. If you're a fan of shepherd's pie or cottage pie, you'll love this ground beef casserole with potatoes and cheese. Each ingredient in this dish is warm, filling, and will have you coming back for seconds. This recipe couldn't be easier. Polish pierogi (potato dumplings) and squash make for a unique, flavorful casserole your babcia would be proud of! This Brussels sprout gratin is a delicious, filling meal you can make any night of the week. It can be made entirely vegetarian, or include bacon, ham, or pancetta for a smoky finish. This easy hominy corn casserole bake is an excellent vegetarian one-dish meal to make for your family on a busy weeknight. Be sure to save the leftovers, they reheat perfectly! This spaghetti-style pizza bake features your favorite pasta, coated with eggs and milk, topped with a rich mushroom and beef sauce, covered with lots of cheese and pepperoni, and baked until bubbly. Yum! The original recipe for this dish takes a long time to make, but this variation is a snap — perfect for quick weeknight dinners. This hearty and warming casserole is pure comfort food for the whole family. This chicken and wild rice casserole is an excellent recipe for your crock pot. Get it cooking in the morning, and let the goodness simmer all day long. We love the combination of wild rice with tender chicken and smoky bacon, flavors to make any dark winter night a little brighter. There are lots of macaroni and cheese recipes out there, but this version is one of our very favorites. The key is an indulgent combination of heavy cream, butter, and olive oil. This is the easiest casserole recipe we know — in fact, it's so easy we know it by heart. For lovers of Italian fare, this tortellini dish is a showstopper. It takes a little more than an hour to cook, but the prep takes only five minutes out of your evening. Another five-ingredient recipe that's easy and packed full of flavor, this tuna alfredo casserole is a far cry from your grandmother's. The addition of healthy vegetables like chopped green onions, mushrooms, and peppers take this meal from good to superb. Here's another easy vegetarian option for casserole night. Barley is an underrated whole grain with lots of fiber and a deliciously nutty flavor that will make you question why you haven't utilized this hearty wonder grain before. This innovative casserole is like nothing you've ever made before. If you have some extra time, make your own meatballs from scratch to elevate this meal from quick-prep to fully homemade. A corn bake is one of many essential southern comfort foods, but this one is the cream of the crop! Easy to prep and quick to cook, make this cheesy corn bake for a hungry crowd.